Aries are reckless and determined. Nothing will stand in their way if they can help it, including people. They’ve got heaps of physical energy and are very competitive. They have to come first in everything. If they don’t, they’ll let you know what a bad loser they are. Never tell an Aries they’re wrong either. They become dangerous. They make fantastic mates, great leaders and good politicians. They like to supervise and organize more than actually working. Never ignore this sign as their ego will be severely deflated and that’s not a pretty sight. It’s not all bad – they’re friendly, kind and generous and certainly cute to a Sagittarius! 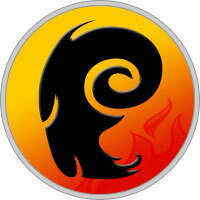 Aries can get anything they want off the ground, but they may land back down again with a bump. Quick to think and act, Aries are often intelligent and have little patience with fools. This includes anyone who is slower than them. They are not the tidiest of people and they are impatient with details, except when engaged upon their special subject; then Aries can fiddle around for hours. They are willing to make huge financial sacrifices for their families and they can put up with relatives living with them as long as this leaves them free to do their own thing. Aries women are decisive and competitive at work but many are disinterested in home making. Highly sexed and experimental, they are faithful while in love but, if love begins to fade, they start to look around. Aries may tell themselves that they are only looking for amusement, but they may end up in a fulfilling relationship with someone else’s partner. This kind of situation offers the continuity and emotional support, which they need with no danger of boredom or entrapment. Their faults are those of impatience and impetuosity, coupled with a hot temper. They can pick a furious row with a supposed adversary, tear him or her to pieces then walk away from the situation five minutes later, forgetting all about it. Unfortunately, the poor victim can’t always shake off the effects of the row in quite the same way. However, Aries cheerfulness, spontaneous generosity and kindness make them the greatest friends to have. Copyright © 2019 Aries Zodiac.